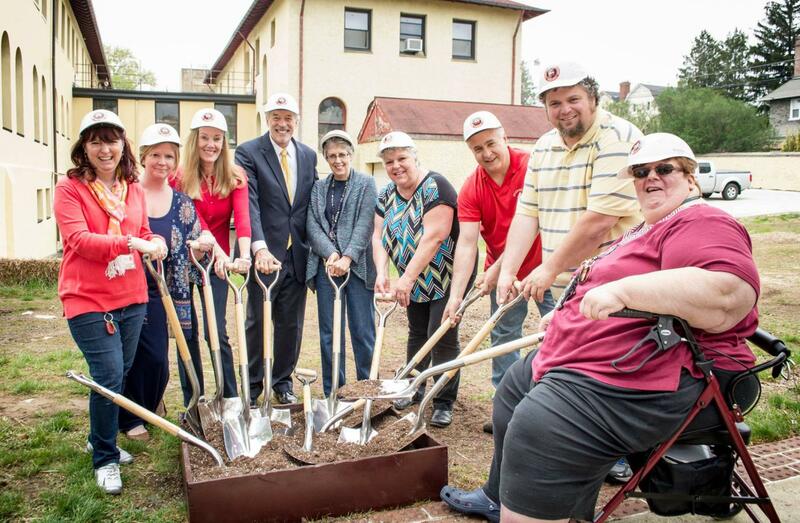 Roseann McLaughlin (far right) along with staff at Overbrook School for the Blind during a groundbreaking ceremony for the school’s new greenhouse program. It’s with deep sadness that we at the Philadelphia Orchard Project offer our heartfelt condolences to the family, friends, and community of Roseann McLaughlin of Overbrook School for the Blind, who passed November 2, 2018 in a tragic house fire. Roseann was the enthusiastic and loving cornerstone of the school’s Farm-To-Table program begun in 2013, which connected Overbrook students to healthy food, on-site gardening opportunities, an ever-expanding school orchard, and in-development greenhouse. She served at the school for 15 years as a Registered Nurse, Certified Nurse Practitioner, and Health Services Coordinator, and was recounted lovingly by staff and the larger community as one of the most encouraging, dedicated, and positive people and team members, who always had a kind word of support to share and a new idea to explore that could expand students’ horizons. She had the unique gift of making everyone feel appreciated — from staff who had known her for many years, to volunteers who came in to lend a hand, even for an afternoon. In March 2017, she initiated a new collaborative curriculum endeavor named GrowAbility with agricultural educators around the city — including Overbrook, Elwyn, and Easter Seals schools, POP, Pennsylvania Horticultural Society, Penn State Extension, 4-H, Associated Services for the Blind, Philadelphia Free Library’s Culinary Literacy Center, Greener Partners, and others — to asses how garden curriculum could be adapted for special needs students. In our last meeting together, we brainstormed ideas for new projects like making music from the plants of the orchard with a device that could translate plants’ electrical signaling into music, and could be felt by students with deep-bodily sensory-input needs through students’ vibratory backpacks. She delighted in the collaboration of new ideas, how they germinated, and grew. Her giving heart, commitment to her work and community, and her service-oriented spirit was unparalleled and will be sorely missed as a project partner we are blessed to have had, and as a kindred friend. It’s our deep wish that the continuation of this work honors her legacy for all those who were blessed to know her and carry her intentions and plans forward. A GoFundMe campaign has been established to support her daughter Casey and grandson Michael. In honor of Roseann McLaughlin and the collective consortium of educators she gathered, we share the first sensory-lesson book created by POP and reviewed by the GrowAbility collective as an adaptive activity guide book for special needs students. Inspiration for the format first came from Linda Bucher of Overbrook School for the Blind, who supported the school’s Farm-to-Table program along with Roseann, teacher Lee Stough, Library Assistant/Farm-to-Table Job Coach Shannon Walsh, School Nutritionist Cathy Dorazio, and art teacher Susan DiFabio. Each page in this Honeybee Sensory Lesson Book (downloadable here) pairs information about the topic, life and role of honeybees in the larger ecosystem, with a sensory component that involves some mix of sight, smell, taste, movement, music / auditory input, solitary, and group work in recognition of the many ways students of all levels create pathways for learning, experience, and retention. Cover page for the 15-page book that can be adapted by teacher based on length of lesson and skill-level of students. Each guidebook is adaptable — meaning teachers can choose which pages to present and props to use from the suggested accompanying prop-box based on the needs of their unique student group. We also include a rubric (downloadable here) that teachers can use as a guide for categorizing the book’s pages and for assessing students’ response to paged / themed activities. Students pretend to be drones with large-eyed sunglasses, fan the queen like a worker bee, and enact the process of pollination with hands-on tactile props. 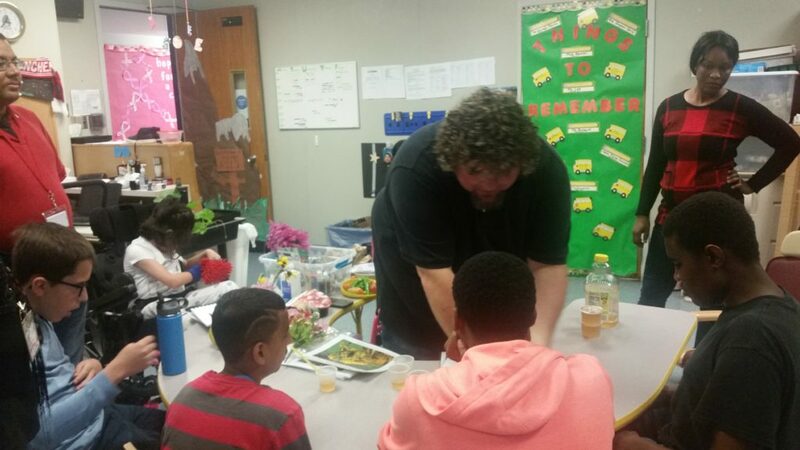 Educators can consider a range of follow-up activities to complement the lesson book including art exercises making honeybees with tissue paper, as Lee Stough’s class had done (pictured here), visits with teaching demo beekeepers and hives (consult Philadelphia Beekeeper’s Guild for more info), planting pollinator gardens, making honey bee drinking dishes, etc. Teacher Lee Stough passes around a boar’s hair brush for students to feel the short bristly hairs of the honeybee that holds flowers’ pollen from one flower to the next. 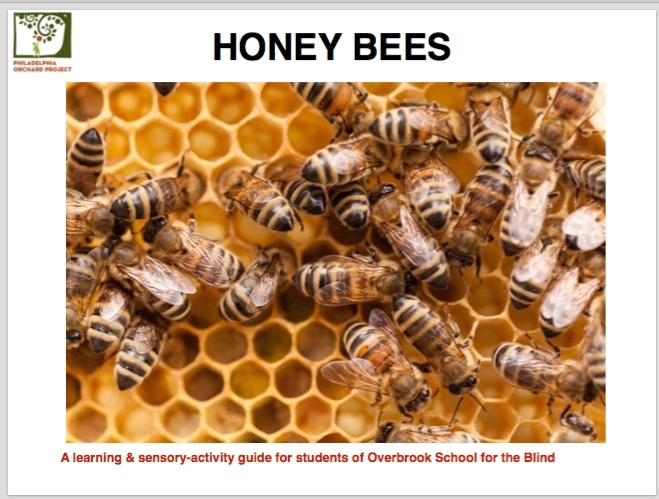 This lesson was first offered to Lee Stough’s class, which includes a mix of student levels — from those with partial to fully obstructed sight, to those geared more toward sensory learning and to those able to perform at grade-level academically. The GrowAbility collective aims to pilot this lesson 10 times in the fall across various program sites including Elwyn, and Easter Seals Schools, Philadelphia Free Library branches, and with 4-H student groups and make edits to the curriculum with the larger collected findings. 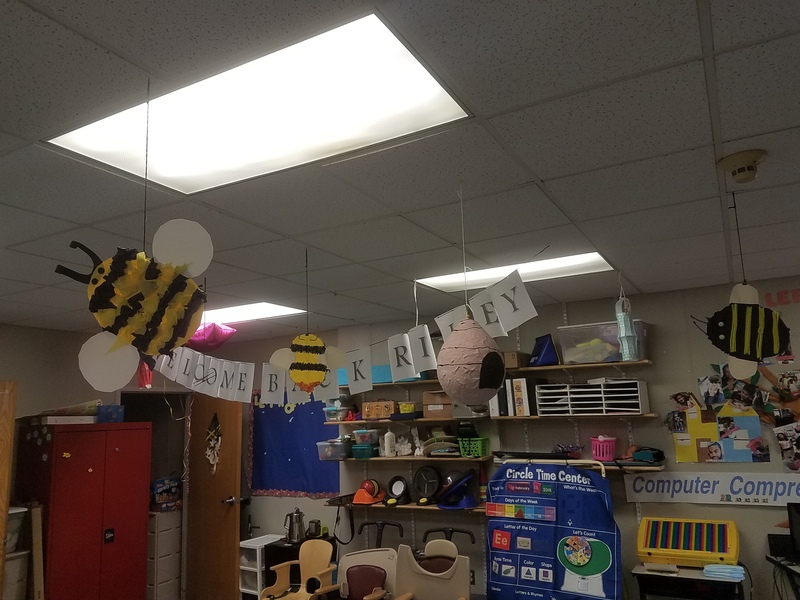 As a follow-up to the lesson, Lee Stough’s class made flying honeybee decorations using tissue paper that the students ripped and glued in place.